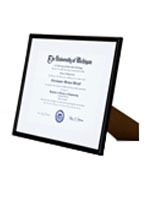 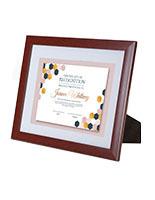 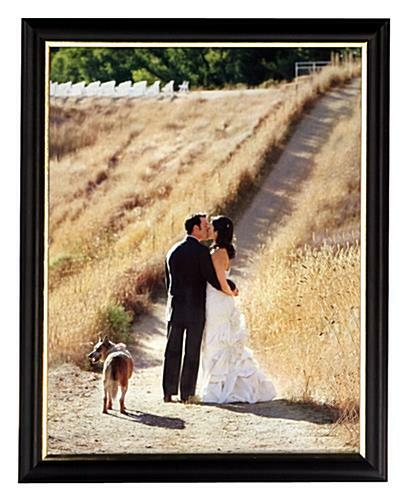 These wood certificate frames are great for displaying degrees, diplomas and photographs. 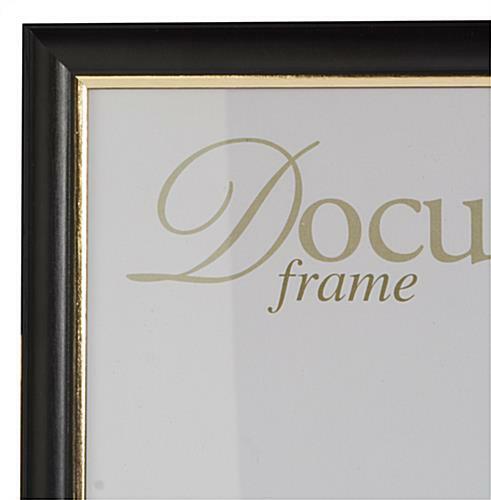 The black fixtures feature a professional-looking gold frame that looks great at home or in the office. 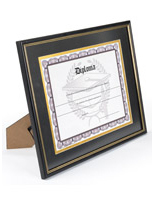 The certificate frames have (2) wall mounting hooks that allow the holders to be hung vertically or horizontally. 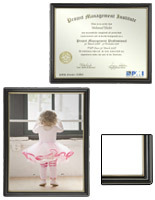 Each black fixture holds an 8.5"x11" degree or other document behind a protective glass cover. 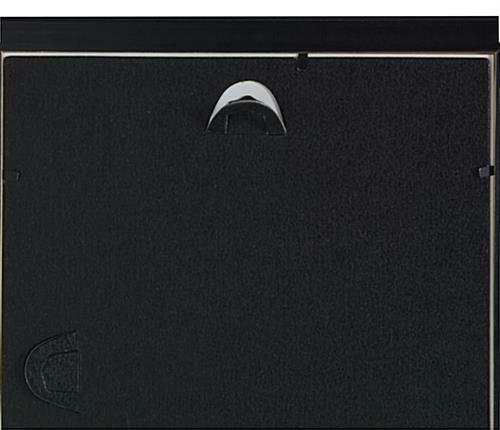 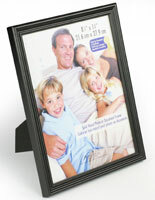 The wall mounted frames make it easy to change inserts with its pop-out backer for added convenience. 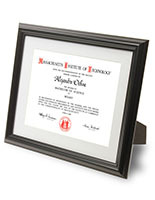 The office holders are also available with an attractive mahogany finish.